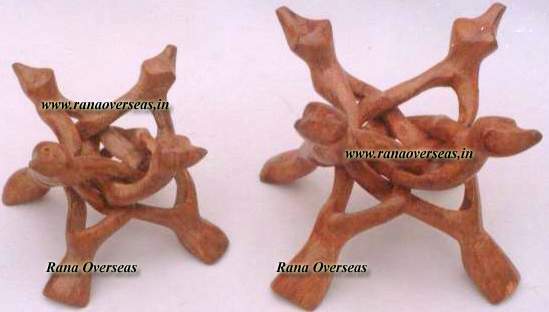 Rana Overseas Inc - Wooden Display Stands in 3 Legs, 4 Legs and in 5 Legs. 3 Legs, 4 Legs and in 5 Legs. 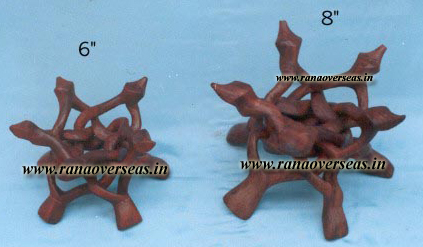 Our Wooden Stand normally called Wooden Carved Display Stand made on Sheesham wood. 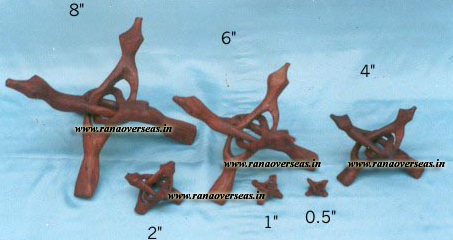 It is fully handicraft and the carvings are made by manual, no mechanical and machinery work on it. 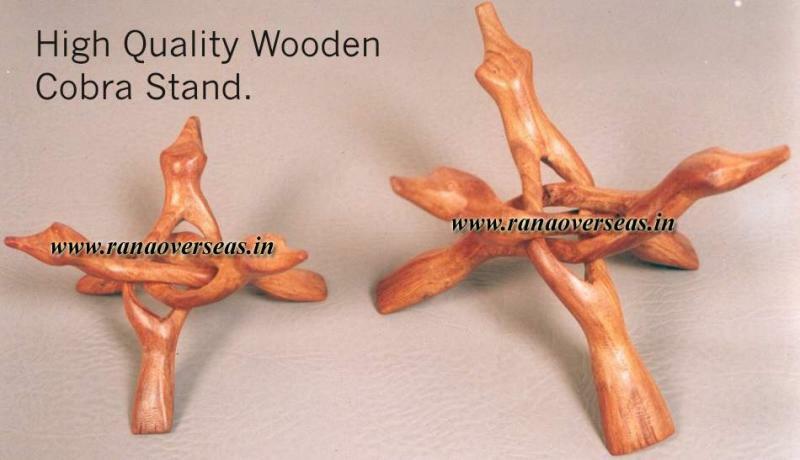 The main speciality of the product is the whole stand made on a single wooden piece. 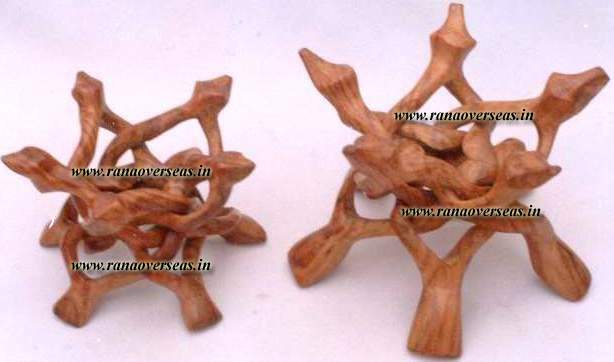 The wood is carved with three,four & five legs of designs and these three / four / five legged can hold Balls, Vases, Planters, Bowls, Dishes, Pots, Kettles, Tea Pots, ostrich eggs, gems, stones, rocks, minerals, spheres , crystals and any decoration.
" 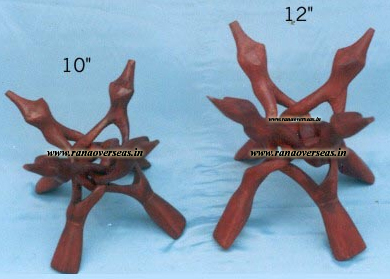 Normal sizes are 1" to 12" inches "
" Normal sizes are 6" to 12" inches "
Regular quality : - Wooden Stands made from Pine / sheesham Wood and We do red finish on Wooden Stands and it is not a actual wood finish. High Quality : - The Main thing of this Stand is Varnish Finish and High Quality wood we use,We Use Sheesham Wood and We also use some chemicals to clean the wood and then we Varnish on the wood and give the protection coat for good finish and It's having a Original Wood Finish & such a nice patterns of Sheesham Wood.We use a very High Quality Varnish & protection coat & high quality wood which is very costly in market. Don't forgot to write in Subject " STANDS "
We will give you delievery at your door step in very nominal courier charges. We will surely response with 24 to 72 Hours. "WE SELL DIRECTLY TO WHOLESALERS, RETAILERS AND CUSTOMERS TO ALL OVER INDIA AND ALL OVER WORLD. "